Chapter one was basically a detailed and engaging annotated bibliography. It made me really want to read Robert Mager for objectives and Jerrold Kemp for course design. Those topics might end up being in a different course though. Renner’s description convinced me to read Grow’s article about stages of self-directed learning in this course. Lesson Plans: The lesson plan chapter was extremely short and I was underwhelmed. One nice take-away was that he listed a separate column for instructor’s activities and learners’ activities. That makes it really easy to see at a glance if you’re sharing the work (and therefore the learning) with your students. Regarding Objectives: Renner keeps citing* Mager’s “motto” and I’m just not 100% on board with it. If you don’t know where you are going, how will you know how to get there? If you don’t know where you want to go, how will you know that you have arrived? There’s certainly logic to it, and it’s a valuable way to think. My problem is that it leaves no room for serendipity. Plans are all well and good; goals and targets are nice. I just don’t agree that we necessarily have to be aiming for a given outcome in order to achieve it or recognize that we achieved it. To me such orderly thinking should be used sometimes, but not at the expense of embracing reality. As I mentioned earlier in this post, I’m very interested in reading some Mager. Room Set-Up: I didn’t realize how cleverly multi-purpose the U-shaped chair set-up is till I saw his diagram. All students can see each other, all students can see the teacher in the front, and the teacher can easily move up the center of the U.
Ice-Breakers: I kind of rolled my eyes but read them anyway, and I’m glad I did. One activity he suggests for starting a new course is “Press Conference.” I like how relevant it is to students’ need to meet other students and their need to start actual class business. Have students form groups of four or five. Give them one minute to quick introduce themselves to each other and then five minutes to pool questions about the course they’re about to begin. Then the teacher calls on groups, who ask her a question about the class round-robin until all questions are answered. Awkward first conversations eliminated! Have students write something informative on a piece of paper, and then have silent mingling time in which people can read each other’s papers. I also like collecting common expectations, concerns, and learning needs first individually, then in small groups, and then up on the paper… and then actually responding to the lists and even changing your plans to better fit them. He even suggests that some groups can decide what the daily agenda should look like, and I’m a little surprised that I really like the idea of asking the group “What has to happen for this course to be a success?” and posting their answers. 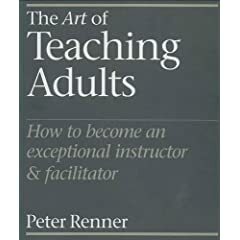 I’m inclined to like any book on teaching that encourages the teacher to get off his or her pedestal and facilitate the learning the students are looking for. I pretty much love being told that plans have to change and that all students’ needs are different. So I’m hoping that this book gets into a bit more of how to make a reasonable starting plan and frameworks for understanding where students are at, or else it won’t be telling me anything I actually need to hear. Based on the table of contents, I do think it’ll get a little more pithy. And if not, I’ll move to a different source. *EDIT: Thanks to MJ for pointing out that I mixed up “cite” and “site.” For the record, I do know the difference. It just doesn’t always stop me from typing the wrong one.